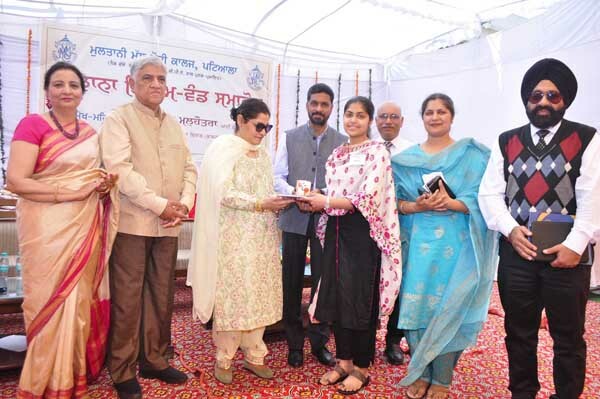 Annual Prize Distribution Function was held at Multani Mal Modi College, Patiala today to felicitate student achievers in Academics, Sports and Co-curricular activities. 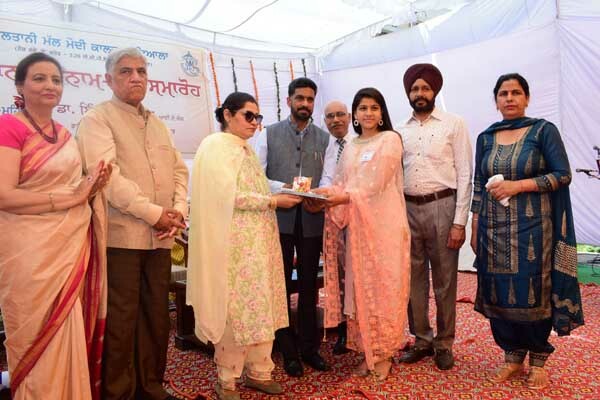 Dr. Indu Malhotra, IAS, Punjab, Director Public Instruction (Colleges) and Managing Director, Punjab Financial Corporation presided over the function. The function started with Saraswati Vandana and Shabad Gayan presented by the students of the college. 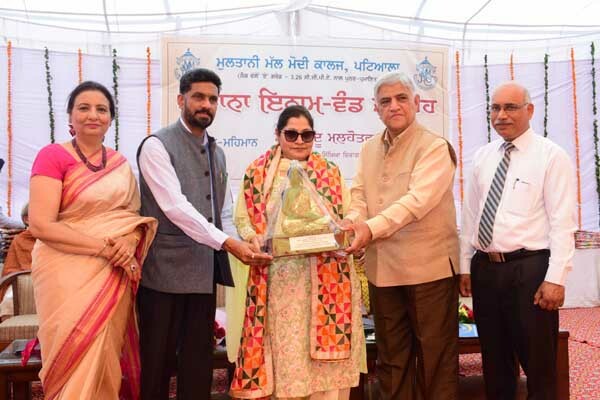 Dr. Baljinder Kaur, Head of English Department formally introduced the Chief Guest. 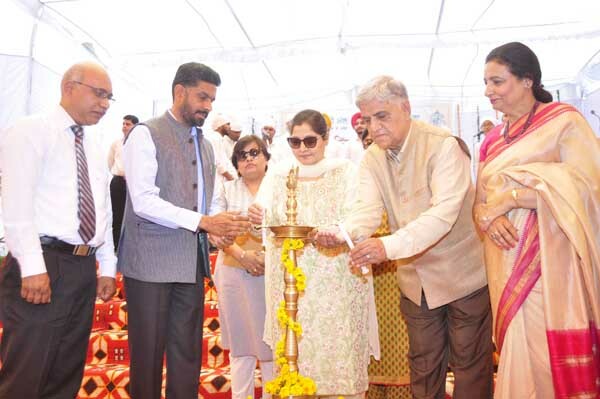 College Principal Dr. Khushvinder Kumar welcomed the Chief Guest and other dignitaries. He congratulated the prize winners and presented the Annual Report of the College for session 2018-19, which was a blueprint of academic and other achievements of the college. He said that in the present era of knowledge-based globalised new liberal societies Modi College is committed to provide affordable and quality education based on ethical values. Chief Guest Smt. (Dr.) Indu Malhotra, a Modi College Alumna congratulated the college for imparting quality education as par with the best educational institutions of India. She also emphasized how college has indeed lived up to the expectations of the society as well as to the philosophy of its founder. Dr. Sangeeta Handa, Principal, Govt. Mohindra College, Patiala, Dr. Kusum Bansal, Principal, Govt. Bikram College for Commerce, Patiala and Dr. Chinranjiv Kaur, Principal, Govt. College for Girls, Patiala also graced the occasion as special guests. The Chief Guest distributed the Roll of Honour, College Colour and Merit Certificates to the winners. She said that today Modiites are serving as Doctors, Administrators, Engineers, Army Officers, Industrialists and Artists in different high profile Indian and International organizations. She also said that being a student of Modi College is in itself a matter of pride. Dr. Ajit Kumar, Registrar of the College told that 50 Rolls of Honour, 296 College Colours, 358 Merit Certificates prizes were awarded to the students including two Gold Medals in Punjabi University Examinations. Rolls of Honour were awarded for achievements in Academics to Rishu Jindal (First position in University in MSc – Pharmaceutical Chemistry), Deepti Goyal (First position in University in MSc – Food and Nutrition), Shubham Kumar (Second position in University in MSc – Pharmaceutical Chemistry), Sukhneet Kaur (Second position in University in B.A. 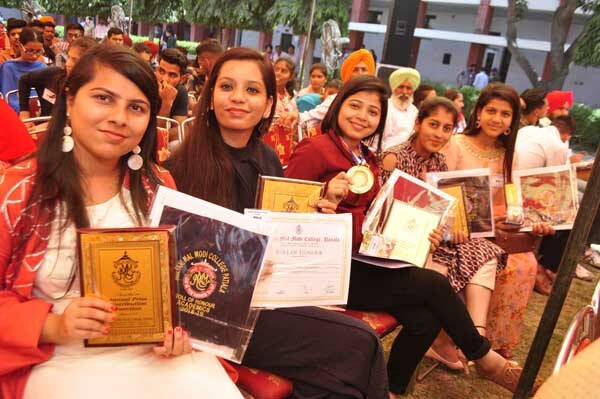 ), Lalita Devi (Third position in University in MSc – Pharmaceutical Chemistry), Ritika Sachdeva (Third position in University in BCom), Amarpreet Kaur (Third position in University in MSc – Biotechnology), Sakshi Bhardwaj (Third position in University in MSc – Food and Nutrition). Roll of Honour were awarded to Mayank Markandey (BA-II) for representing India in International T-20 match vs. Australia held at Vishakhapatnam, Naman Kapil (BA-II) for participating in World Cycling Championship held at Switzerland, Pawan Kumar (BA-I) for participating in World University Canoeing Championship held at Hungry, Pankaj Garg (BA-III) for participating in 3rd Junior World Soft Tennis Championship held at South Korea, Gurjatinder Singh (BA-III) for representing the country in Asia Cup World Ranking Archery Tournament held at Manila. Besides this Prizes were also distributed to sports persons who won 55 Gold Medals, 39 Silver Medals and 23 Bronze Medals at various National and Inter-University Level Competitions. Their coaches were also felicitated on the occasion. 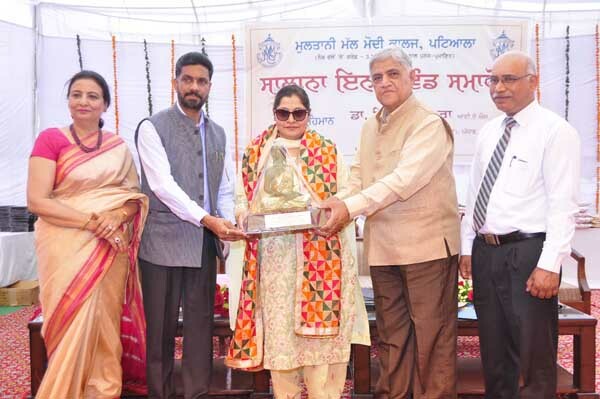 Prof. Surindra Lal and Col. Karminder Singh, Members of the College Managing Committee and College Principal presented the mementoes to the Chief Guest and Guest of Honour and also addressed the prize winners. Dr. Baljinder Kaur proposed the vote of thanks. Prof. Shailendra Sidhu, Dr. Ajit Kumar, Dr. Ganesh Sethi and Dr. Harmohan Sharma conducted the stage. College students presented cultural items including Songs, Skit and Guitar playing etc. during the function. 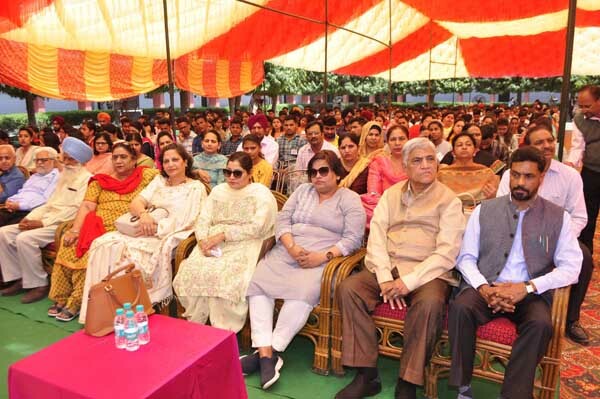 A large number of ex-staff members of the college were also present on the occasion.